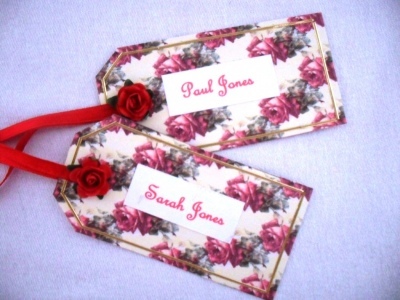 A romantic red rose luggage tag name place. Red rose printed on both sides and finished off with red ribbon and a single red rose. Each tag can be printed with your guests names if required.